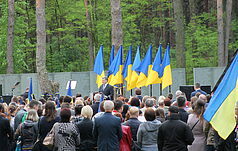 On February 19, 2019, Nikolai Brivko, a research associate at the National Historical and Memorial Reserve "Graves of Bykivnya" gave a lecture “Bykivnya - the Territory of Memory” at the Donbass State Pedagogical University (Slavyansk) for students, professors and librarians of the University. 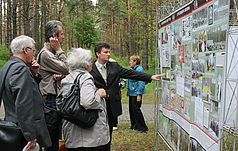 On February 12, 2019, Tetyana Sheptytskaya, a deputy general director for the scientific work of the National Historical and Memorial Reserve Graves of Bykivnya, met with pupils of the 7th form of the secondary school № 70, at the library No. 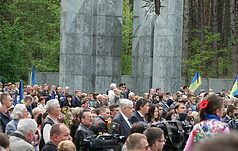 9 for children of the Shevchenkivskyi district of Kyiv. 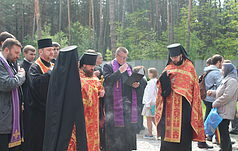 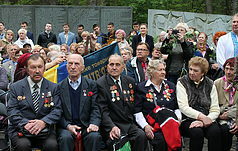 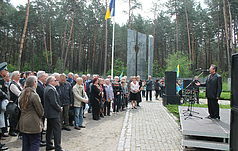 The National Historical Memorial Preserve “Graves of Bykivnia” is sincerely grateful to the relatives of the repressed for their cooperation and attention to our institution. 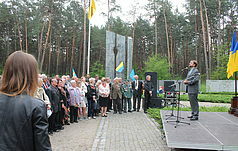 On December 17, 2018, a photo-documentary exhibition "The Word Broken in Bykivnia" (extended version) was opened in the premises of the Regional Literary and Memorial Museum of M. Ostrovsky in Shepetivka/ The exhibition is prepared by the scientists of the National Historical and Memorial Reserve "Graves of Bykivnya" in cooperation with the Ukrainian independent publishing house "Smoloskyp". 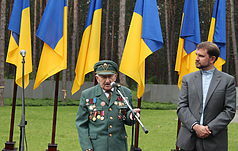 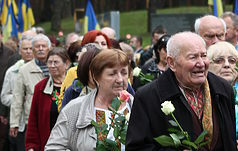 On December 1, 2018, Ukrainian Foreign Minister Pavlo Klimkin and Polish Foreign Minister Jacek Chaputovich commemorated the victims of Soviet mass political repression at the Graves of Bykivnia National Historical Memorial Reserve.